The Civil War is the most written about event in United States history. There are an extraordinary number of books covering all aspects of the war from large overviews like James McPherson's Battle Cry Freedom, Gary Gallagher's books on The Union War and The Confederate War, Allan Nevins 8 volume set on the conflict, and Shelby Foote's three volume set of books on the war. Like a lot of people, I started with Shelby Foote's books, but over the years I have drifted towards more academic works. Unsurprisingly, all kinds of different authors have written non-fiction books on the topic. Some of these authors are academic historians such as James McPherson and Gary Gallagher, more literary authors such as Winston Groom (author of fiction works such as Forest Gump and Civil War nonfiction works Shiloh, 1862 and Vicksburg, 1863) and Shelby Foote, and an extraordinary number of independent scholars. I would not be surprised to learn that there are more self-published books on the American Civil War than any other American historical topic. Creating this list has been both very easy and extraordinarily difficult. It is easy to find great books on Civil War Battles, but it is almost impossible to pick only ten. If you are a stickler and count the books listed, you will notice that the final is little bit higher than 10. Therefore, this list is not comprehensive. That would be impossible. Additionally, it only focuses on specific battles or campaigns of the war. Even when you intentionally restrict the number of total books on the war, you are still left with thousands of book titles. There are over 1,000 books available on Amazon discussing some aspect of the battle of Gettysburg. At the very least, these books are a great place to start an exploration of the Civil War. 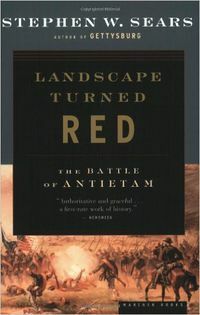 Landscape Turned Red: The Battle of Antietam, (Mariner Books) Stephen W. Sears - Stephen Sears'Landscape Turned Red is considered to be the preeminent book on the Battle of Antietam. When it was published in 1983, Sears book received near universal acclaim and it still holds up extremely well. Sears book not only walks the reader through the battle, but clearly explains why the stakes were so high for both sides of this battle. 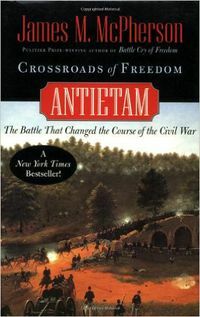 Antietam: Crossroads of Freedom, (Oxford University Press) James McPherson - McPherson has written extensively on the Civil War, but he has usually approached this topic from broader narrative. In his Pulitzer Prize winning book Battle Cry Freedom, he masterfully wrote about the entire war. In one of his most recent books The War that Forged a Nation, he explained how the war fundamentally changed the United States and why it still resonates today. In Antietam, McPherson took a different approach. He not only walks the reader the entire battle, but he explains why the battle of Antietam fundamentally altered the course of the war. Chancellorsville 1863, The Souls of the Brave, (Knopf) Ernest B. Furguson - Furguson's book elegantly explains the tactically complicated Battle of Chancellorsville and puts the reader into the midst of the action. Furguson, a former columnist and journalist for the Baltimore Sun has written several other outstanding books on Civil War including Ashes of Glory and Freedom Rising. Fredericksburg! Fredericksburg!, (UNC Press) George Rable - Rable's book is the classic book on the Battle of Fredericksburg. Fredericksburg was a disastrous defeat for the Union army and his books not only looks at the military aspects of the conflict, but also the social and political aspects that influenced and shaped the battle. This is the best book to start with if you want learn about Fredericksburg. Cold Harbor to the Crater: The End of the Overland Campaign, (UNC Press) Edited by Caroline Jenner & Gary Gallagher - Jenner and Gallagher's book is one in a series the excellent Military Campaigns of the Civil War series of books published by the University of North Carolina Press. Other books in the series examine the Fredericksburg, Shenandoah Valley and Wilderness campaigns. Like other books in this series it includes essays from noted Civil War and 19th Century historians including Joan Waugh, Stephen Cushman, Keith Kathryn Shively Meier, Gordon Rhea. Instead of simply describing the campaign, these essays delve deeply into a diverse array of topic including the work of Confederate engineers, enduring the life of a soldier, the resilience of Confederate soldiers after Gettysburg, and the experiences of civilians caught in the battle for Petersburg for over a year. Cold Harbor: Grant and Lee, May 26-June 3, 1864, (LSU Press) Gordon Rhea The Overland Series - Unlike Gallagher's and Jenner's more expansive book of essays, Rhea's book focuses on the battle for Cold Harbor. Despite the disproportionate losses by the Union, the Battle of Cold Harbor was a stalemate. Rhea goes into extraordinary detail about the battle and tries to demystify why the so many Union troops were killed. Cold Harbor is part of Rhea's Overland Campaign series published by LSU Press. The series also includes The Battle of the Wilderness, The Battles for Spotsylvania Court House and the Road to Yellow Tavern, and To the North Anna River. Rhea's book on the Battle of the Wilderness is also considered to be the classic book on this battle. The Battle of Gettysburg - It is impossible to pick just one book on the Battle of Gettysburg. While there has been a longstanding debate over which battle was more important during the war - Antietam or Gettysburg, Gettysburg has become part of the American consciousness. Not only did it end the Confederacy's advance into the North, it gave birth to the most famous speech in American history. Each of these books attempts to answer different questions about Gettysburg. 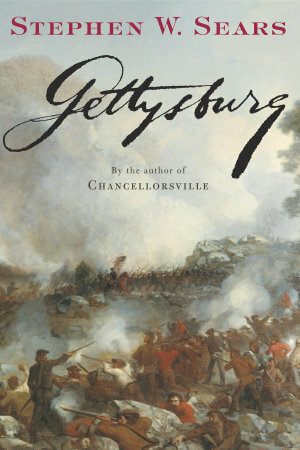 Harry Pfanz book Gettysburg: The Second Day(UNC Press) focuses solely on the second day of the battle, while Stephen Sears takes a much more expansive look at the entire in battle Gettysburg(Mariner Books). Carol Reardon's book Pickett’s Charge in History and Memory (UNC Press) takes an entirely different approach by focusing on perhaps the most important charge in United States history. She explains why Pickett's Charge has been elevated to the status of an American myth and attempts to put the charge back into its proper historical place. Finally, Mark Grimsley and Brooks D. Simpson's Gettysburg: A Battle Guide (Bison Books) is the battle guide on Gettysburg. The authors help the reader make sense of confusing and complicated battlefield better than any other book. This book essential if you plan on visiting The Gettysburg National Military Park. 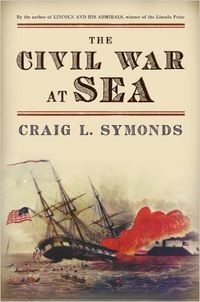 The Civil War at Sea, (Oxford University Press) Craig Symonds - While not technically a Civil War battle book, The Civil War at Sea demonstrates how important the Union naval campaigns were to their victory. The book is broken up into sections covering the Union blockade of Confederate ports, the sieges of Charleston and Wilmington and the role of privateers during the war. Symonds does a fantastic job bringing a neglected aspect of the Civil War to the forefront. Perryville: This Grand Havoc of Battle, (University of Kentucky Press) Kenneth W. Noe (University of Kentucky Press)- The Battle of Perryville represents the high water point of the Confederacy's western campaign. Perryville was a Confederate victory, but it failed to achieve the South's strategic goal; bring Kentucky into the Confederate fold. Noe not only gives a detailed description of the battle, but he also describes the lives of the soldiers both during the western campaign and after the war. What Were the Circumstances Surrounding the Death of "Stonewall" Jackson? Why Was the Battle of Antietam a Pivotal event in the American Civil War? Was the Destruction Perpetrated by Lincoln, Grant, and Sherman Necessary to End the Civil War? 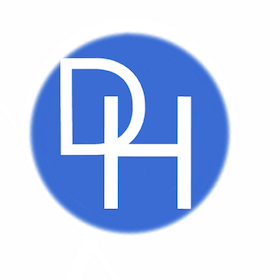 This page was last edited on 22 November 2018, at 14:15.